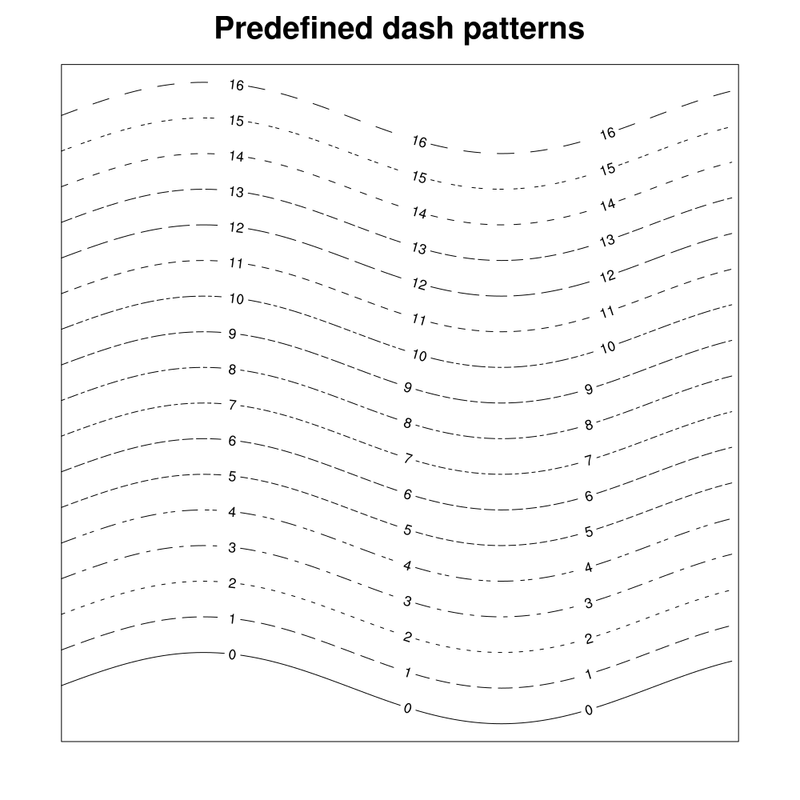 There are 17 predefined dash patterns available. (Pattern 0 is solid.) You can change the line class="GraphicStyle">gsLineDashPattern for lines associated style by using gsLineDashPattern for lines associated with polylines or gsn_add_polyline, gsn_polyline, gsn_polyline_ndc. For xy plots, use xyDashPattern or xyDashPatterns (more than one line on a plot). The line style is changed using an integer from 0 to 16. The default is line index 0 (solid). You can also make your own dash pattern using the NhlNewDashPattern function.. See XY application example 3.